The Russians have always been fond of fishing. And many consider grilled fish a delicious treat. Basically, any type of fish can be grilled. Since some fish breaks up easily, it is better to grill it on an aluminum pan or wrapped in foil. Cheese prevents fish from drying out so that it ends up juicy. Wash fish under cold running water, pat dry, cut into large pieces and sprinkle with lemon juice. Wash vegetables and cut into large pieces. 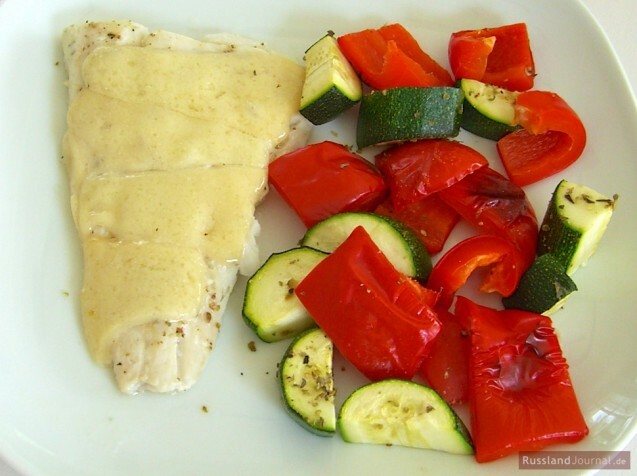 Place fish and veggies on aluminum tray or foil. Season to taste with salt and pepper. Grill one side for about 5 minutes. Flip, sprinkle with cheese and grill the other side for another 5 minutes.